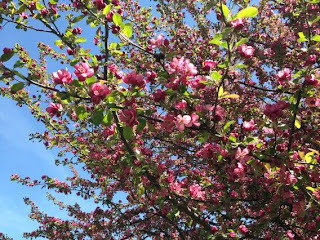 Thanks to several who tweeted me their thoughts (including some very poetic tweets) on the glories of this amazing spring. Here's the next poem, inspired by YOU. 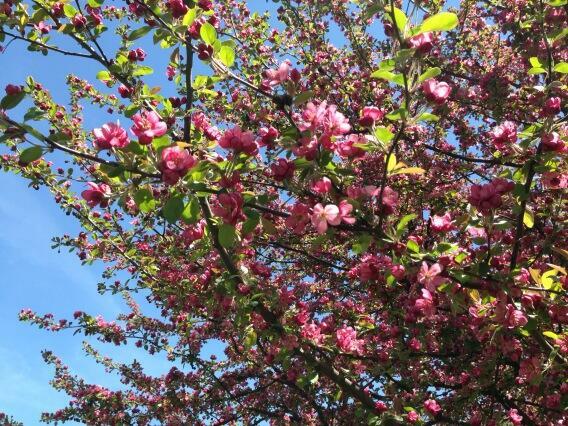 And a beautiful photo of a crabapple tree that accompanied a tweet. "Crabapple" just didn't fit the rhythm or linguistic aesthetic of the poem so I changed it to "cherry and pear." Poetic license, don'tcha know! Now how about some tweets about that hail storm?